The no obligation phone consultation service applies to both residential and business customers in the South London area. No rat catching or rat control job is too large or too small for us to look into. Where appropriate we have the expertise advise on any immediate action needed to safeguard your health, property or belongings prior to a visit. 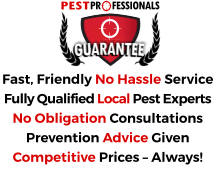 If a visit is required we let you know if there will be a call out fee and also advise on the likely costs of any rat control work should it be necessary. In the UK you are likely to come across the Brown Rat (common or sewer rat) and the Black Rat (ship rat). The Black Rat has been with us the longest and has been discovered in digs in the city of London dating back to the third century. It lives only for about a year, but is sexually active in 2-3 months. Its tail is longer than its body and it’s a very good climber, and can easily enter loft spaces. The slightly bigger brown rat originated in Asia and was first recorded in Europe only in the 18th century. Its tail is slightly shorter than its body. The brown rat often lives in the ground and in sewers and drains. Rats eat just about anything, and need a readily available source of water. Rats really do carry disease. Weil’s Disease, which can be fatal to humans, carried in their urine. They are also a significant fire threat because of their tendency to gnaw through electrical cables. Rats can cause structural damage to the property. The brown rat is the most common and largest rat in the UK and often lives in sewage systems. The black rat is smaller, darker and sleeker than the brown rat and is generally found at roof level. When they are coming into contact with people, rat control is vital. Protective clothing needs to be worn when tackling a rat infestation, and dealing with rats is something that should be left to qualified professionals only. 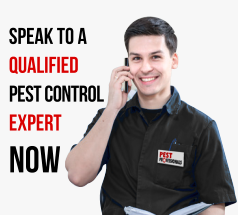 Your pest controller will work with you to try and work out how the rats are entering into your building, before introducing tried and tested rat control methods. If you need sound advice or a fast solution to a rat problem anywhere in South London or the nearby Boroughs – speak to us.